And it’s official: I am an American Cheese Society Certified Cheese Professional. Say it with me: whoooooo-hooooo! Jane Bauer from ACS emailed me yesterday, with a note that a press release will go out today. I am interested to see how many other folks from Wisconsin are on the list. Up until now, there’s only been two other CCPs in the state, so I am honored to be in their company! Of the more than 250 people who sat for the test this year, 153 people passed. A total of 406 individuals throughout the United States and Canada are now official ACS CCPs. So what is an ACS CCP? The ACS Certified Cheese Professional Exam is the first and only exam of its kind. 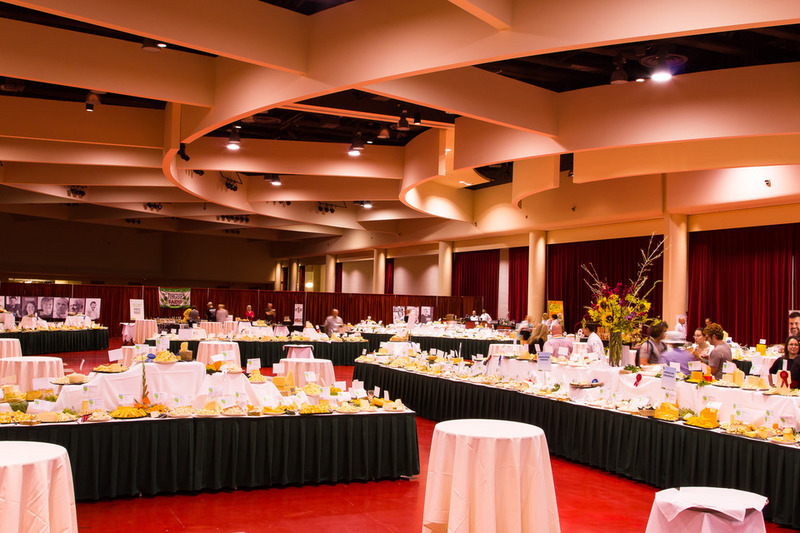 It was established by the American Cheese Society to encourage high standards of comprehensive cheese knowledge and service for professionals in all areas of the industry. The exam is based on the knowledge and skills required to successfully perform cheese-related tasks in jobs across the industry. 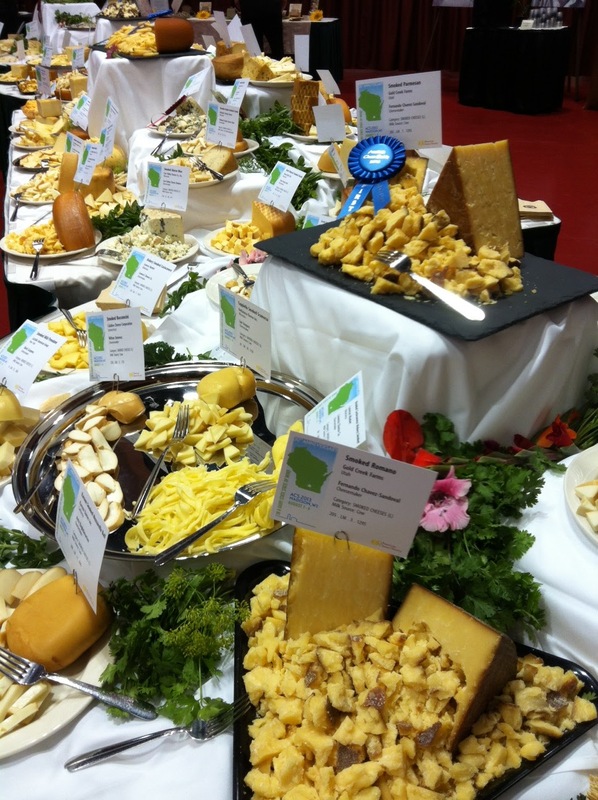 Testing encompasses a broad range of topics including raw ingredients, the cheesemaking process, storing and handling cheese, selecting distributors, marketing and communicating about cheese, nutrition, and regulations and sanitation. In other words, you have to know everything about everything. For six months prior to the test, I read nothing that was not cheese-related. Cheesemaking books and cheese industry tomes made up a permanent stack next to the couch in our living room. I promised myself that if I passed, I’d reward my self with a Mountain Dew and a People magazine – which other than the Sunday New York Times, is about the only non-cheese related publication I’ve read in 2014. A huge, huge thank you to Metcalfe’s Market-Hilldale in Madison, who two years ago, took a chance on someone they had never heard of, who had NO retail experience, and then hired her anyway to help work the cheese counter. Today, I am blessed to manage a department with three full-time staff and 300 cheeses, 90 percent of which we cut and wrap ourselves, and cut to order for a growing number of clientele. I literally get to smell, touch and taste cheese all day. I get to work with Wisconsin cheesemakers and be the first to sample and sell their new cheeses. This is the dream, baby. And I love it. Thank you, thank you, thank you to everyone for your support, especially my husband, who refers to himself as “Cheese Junior” but works just as hard as I do. I look forward to continuing to attend industry classes and keep up on my studies to recertify in 2017. But first, I’m going to hit the library, check out a juicy novel, drink a non-diet soda, and hit the hammock for an hour. Eighteen months after making the decision to try and become an American Cheese Society Certified Cheese Professional, I am on my way to Sacramento, California to take the official exam with 250 other cheesy pro hopefuls. As many of you know, deciding to sit for the test has dramatically changed the course of my cheese geek career. In January 2013, I was rolling full steam ahead with my own public relations company when I persuaded the nice folks at Metcalfe’s Market in Madison to hire me part-time so I could garner retail experience and the hours I needed to qualify to take the exam. Today, while I’m still running Wisconsin Cheese Originals and the Wisconsin Artisan Cheesemaker Guild (albeit a bit poorly – I promise members I’ll be back at 100 percent after this test is over), I’ve retired my PR company of one and am working full-time at the Metcalfe’s flagship Hilldale location, managing the Specialty Cheese Department, rockin’ and rollin’ cheese sales with an awesome staff of three-full time cheese geeks. I get the amazing opportunity to cut and eat cheese for a living. Well, first of all, getting certified is no sure thing. There is a substantial chance I will not pass this beast of a test. It’s a three-hour exam covering everything from the ph of cow’s milk before adding rennet, to the lactation schedule of goats, to the steps of receiving cheese in a retail setting, to knowing the FDA food code like the back of my hand. It will be a three-hour written test during which I will be escorted to the bathroom by a personal exam proctor. I have been instructed to show up with a photo ID, my computer loaded with the test software, and nothing more. I get the feeling if I try to sneak in some deodorant, I might be escorted away by agents. But on the off chance that I do actually pass this monster, here’s what I’ll do with my certification: I’ll keep working at Metcalfe’s Hilldale and know that I’m on the way to becoming a better cheese geek. Why does anyone become certified in their field? To know they are on the way to being the best they can be at whatever they do. So at 1 p.m. on Tuesday, July 29, if Cheese Underground readers would like to cross their fingers for me, I’d be grateful. I’ll find out in mid-September whether I pass, but the folks already certified tell me that I’ll know myself once it’s over. Either you know the stuff, or you don’t, and I sure hope I do. The proclamation comes courtesy of the fabulous Patty Peterson at Larry’s Market in Brown Deer, Wisconsin, who in August, wrote the governor’s office, asking him to join the American Cheese Society in declaring October as American Cheese Month. “I think this is a natural fit for Wisconsin with our rich dairy heritage and wonderful new cheese artisans and entrepreneurs,” Patty wrote in her request. You go, girl. The request was then funneled to Bob Nenno, Proclamation Director (I didn’t know we even had a Proclamation Director), and after consideration from Bob and his supervisor, the Governor approved the designation. This afternoon, his staff sent Patty an email with a copy of the document. The original is set to be mailed next week. So there you have it, folks. October is officially “Cheese Month” in Wisconsin. Party on.